The Labradoodle is a unique and fascinating dog which was first bred in Australia in the 1970’s. Labradoodles are a cross between the Standard Poodle and Labrador Retriever. The search for a low allergy Guide Dog led to the breeding of Labradoodles. The Labrador's easy going ways and the Poodle's smartness made for an interesting combination, and an exciting discovery was that a percentage of each litter had puppies which appeared to be allergy friendly. An added bonus for the Labradoodle was the lack of shedding in some of these puppies and the absence of a doggy smell. Later, the use of the Miniature Poodle was introduced, and today there are three sizes in the Labradoodle. 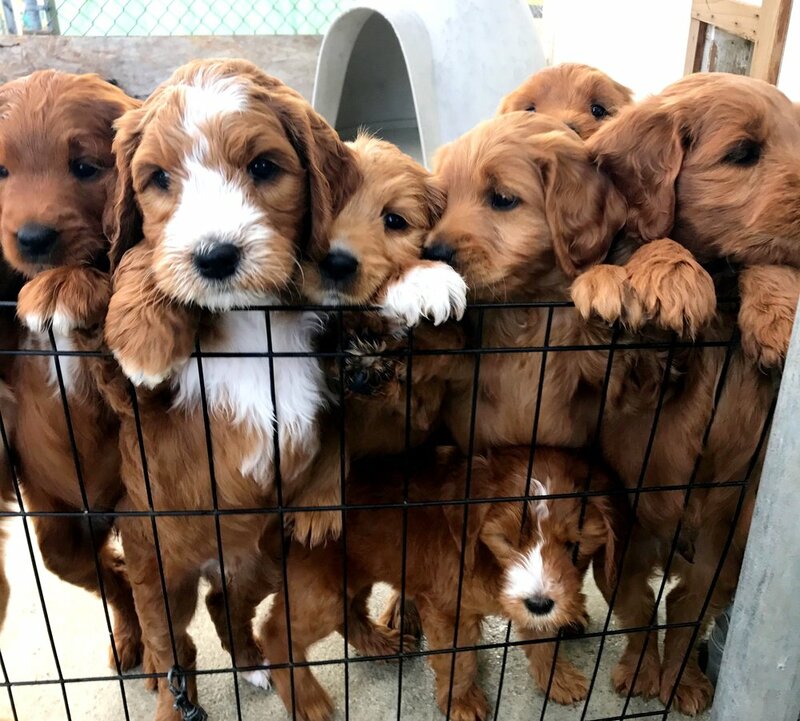 Labradoodles are known for their typical “Benji” look, outstanding intelligence and trainability, low allergy coat, low to non-shedding coat and lack of doggie odor. They are slightly heavier than the Standard Poodle with strong front limbs. They can have a borderline wavy coat, wavy coat or a curly (fleece) coat. The coat should be about 4-6 inches in length. Labradoodles come in numerous color varieties: Black, Chalk, Cream, Apricot, Red, Chocolate, Cafe au Lait and Silver. Goldendoodles came along during the 1990’s. 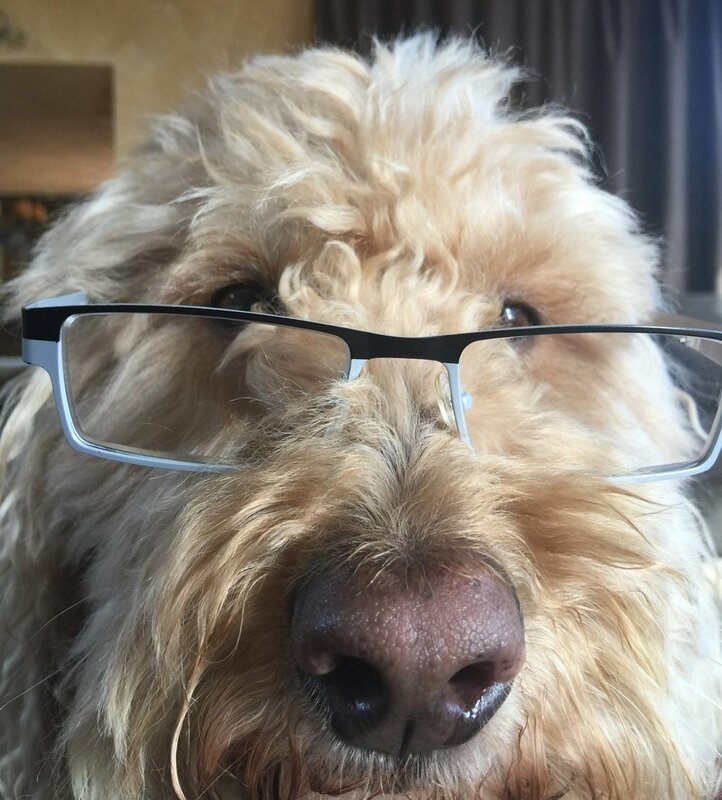 With Labradoodle breeding on the rise, the Goldendoodle was bred to see if the gentle nature of the Golden Retriever and the allergy friendly coat of the Poodle would produce a good genetic combination. This cross results in “hybrid vigor” which is the phenomenon that the first cross between two unrelated purebred lines is healthier and grows better than either parent line. The Goldendoodle is a good-natured family pet and they tend to be allergy friendly and have low to non-shedding coats. CHARACTERISTICS: Goldendoodles are very similar to labradoodles. All of the characteristics of labradoodles apply. 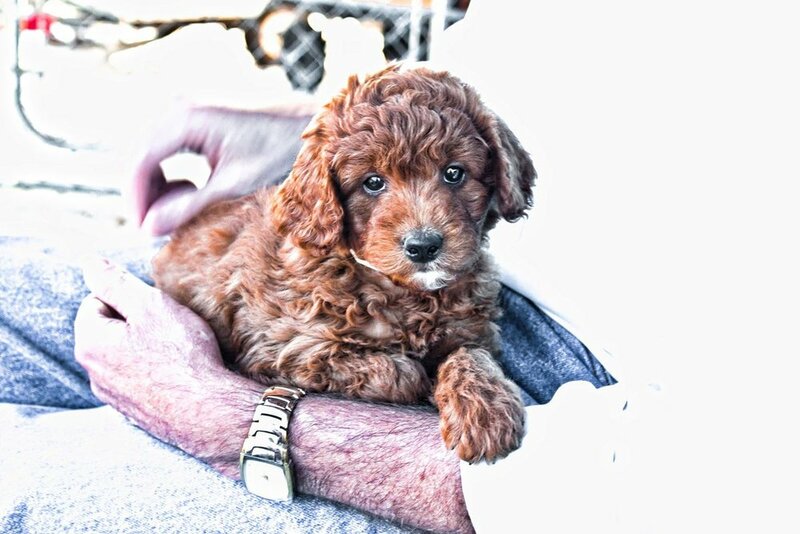 Coloring is slightly different- goldendoodles are typically Red, Apricot, or Cream (sometimes with white markings). Due to the rising popularity of the “doodle” breeds, bernedoodles have burst onto the scene in the past 5-10 years. They have become exceedingly popular for many of the same reasons as labradoodles and goldendoodles. Bernese Mountain Dogs, also referred to as “Berners”, are traced back to Switzerland and became popular as early as the 1900s. Berners are exceptionally strong dogs, which made them good working dogs for farmers. Their sunny disposition and mellow demeanor have made them increasingly popular family dogs. More recently, bernedoodles have become popular. Much like labradoodles and goldendoodles, bernedoodles are desirable because they tend to develop the strengths from both Berners and Poodles. Bernedoodles are generally low or non-shedding and incredibly smart like the Poodle, while also having an easy going temperament and friendly demeanor like the Berner. Bernedoodles are usually black and white, black and rust, or tri-color, meaning black, rust and brilliant white. The overall look combines traits of the Poodle and the Berner. Some puppies in a particular litter may have the overall bulk of the Bernese while others may lean more towards the Poodle with a slighter build. F1’s have straight, borderline way, or wavy coats. They vary widely as to shedding and allergy friendliness. F1B’s have wavy, curly, or wooly coats and are low to non-shed and are allergy friendly. Multi-Gens also have a fleece, curly fleece or wool coat and are low to non-shed and allergy friendly. Standard: Height: 22 inches or more at the tallest point of the shoulder; Weight: generally 45+ pounds. Males tend to be larger than females, regardless of the size category. Medium: Height: 17-21 inches to the shoulder; Weight: usually 25-45 lbs. Miniature: Height: 14-16 inches to the shoulder; Weight: generally under 25 lbs.